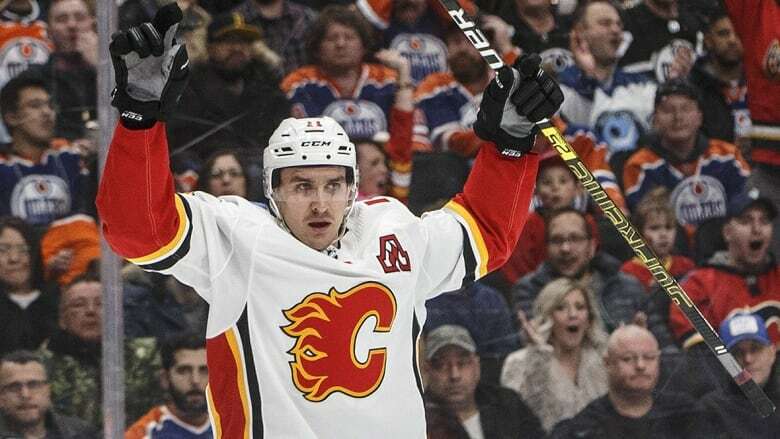 With five Stanley Cup banners hanging from the roof of Rogers Centre, and the NHL's best player at centre, Edmonton is not used to looking up at the Calgary Flames in the standings. There's a genuine Stanley Cup contender based in Alberta this year. It just isn't the one a lot of hockey fans — and experts — expected. 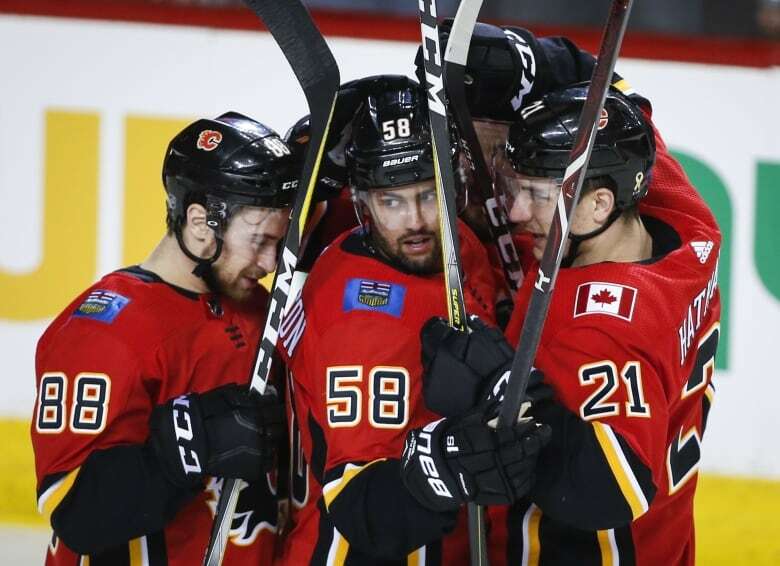 As the NHL pauses for its annual all-star game the Flames are exceeding all expectations this season, sitting second in the entire league with 71, five behind the league-leading Tampa Bay Lightning. 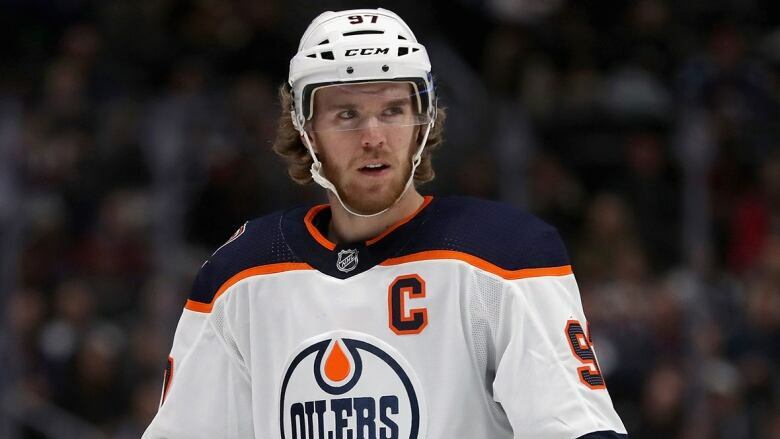 Meanwhile, up north, the Oilers have 49 points in 50 games, despite a roster that includes the consensus number one player in the league, Connor McDavid. They just fired their general manager Peter Chiarelli, and despite the fact that they play in the west, a division experiencing a down year, the Oilers run the risk of missing the playoffs entirely. 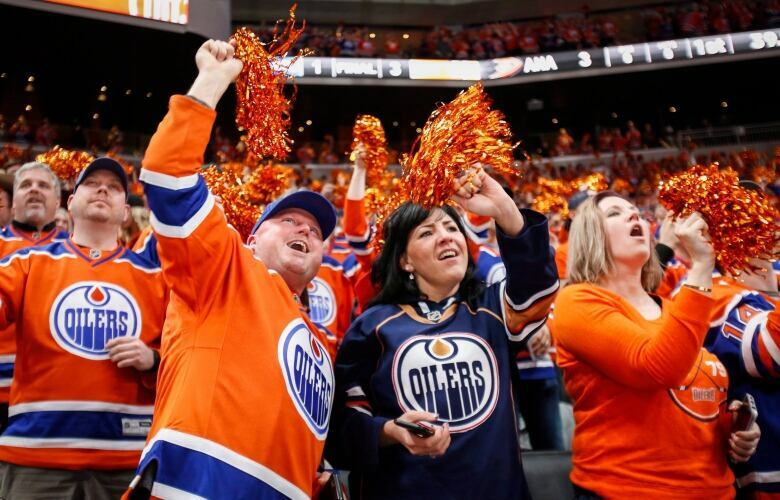 It's a shock to the system for a proud franchise that advanced to the conference semi-finals only two seasons ago, one which entered 2018-19 with hopes of being the first Canadian team to win the Stanley Cup since 1993. Alberta at Noon host Andrew Brown convened a hockey hotstove Friday to do a deep dive into what, exactly, has gone so right for Calgary — and more significantly — what has gone wrong for the Oilers this season. Joining him were CBC Calgary sports analyst Dave Waddell, and CBC Edmonton's Sunil Agnihotri. Agnihotri, who writes a blog called The Superfan, was asked to explain why the Oilers were having such a difficult season. "You only have one hour," Brown said. "It's just such a combination of things," Agnihotri replied. "This is an organization that struggled to put together a roster and has struggled evaluating talent," he added. "Getting the right coaching staff and not drafting well." In other words, aside from winning the NHL draft lottery and with it, the right to select McDavid — a once-in-a-generation talent — in 2015, just about everything that could go wrong, has. Agnihotri said the problems start at management level, and have grown from there. "What people are starting to realize is, as an organization, they're just not built to win," he said. 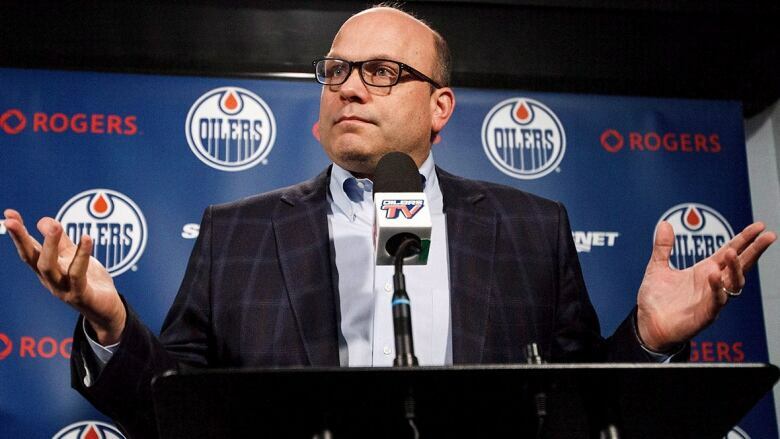 "The Oilers have made so many decisions that aren't geared toward winning. "They consistently chase, just as they go down the wrong path. They're always trying to go against the grain as to where the rest of the league is going. It feels like there they're stuck in their way and not willing to adapt." Some of those decisions include trading away former number one pick Taylor Hall, who became a superstar with the New Jersey Devils, and grossly overpaying for Milan Lucic, a truculent forward who appears to have left his best days behind him in Boston, where he played for Chiarelli and helped lead the Bruins to a memorable Stanley Cup win in game seven of the 2011 finals against the Vancouver Canucks. A three-hour drive south, the Flames keep hitting jackpots every time they do something — whether it's drafting players such as Matthew Tkachuk, Johnny Goudreau and Sean Monahan or elevating obscure and unheralded Czech backup David Rittich to the number one goalie position. The Flames also made a deal with the Carolina Hurricanes that brought a pair of skaters to town named Elias Lindholm and Noah Hanifin, and got rid of the cumbersome, long-term, questionable-value contract of Dougie Hamilton. A big-bucks Flames deal for sniper-turned-slump-ridden James Neal hasn't paid dividends yet, but hasn't particularly hurt, either. Meanwhile, Lindholm is having a breakout year and Hanifan has helped turn the Flames power play from toothless to terrifying this year. "They have figured out a way to take all of the kids they draft, take all of the players that they acquire and bring them up through the roster and through their system in a way where they're put in positions to succeed," Waddell said. Additionally, the team is anchored by its heart and soul captain, 35-year-old Mark Giordano, the undrafted defenceman who may become the first winner of the Norris Trophy as the league's best defenceman to be left off the league's all-star roster. Throw in a career year from Gaudreau, an electrifying, game-changing presence who is among the top five scorers in the league, some gritty goaltending from Rittich, a career backup who appears to have taken the starting goalie's job away from Mike Smith, and you have all the elements in place for May — maybe even June — hockey happening at the Saddledome. The Flames also have a new coach, Bill Peters, who grew up in Three Hills, who has pulled all the right levers so far. "Peters seemed to seems to have struck the right chord with the players in that room," Waddell said. "A lot of it is just patience, organizationally," he added. "When when you're bringing up kids and you're putting them in the lineup, a lot of it is luck — everything has to break right in in a league with such parity. Everything has to go right at the same time. "And I think right now that's happening for the Calgary Flames." Callers — mostly Oiler fans — offered various theories to explain their team's woes. Calling Lake, Alta., resident Richard Monias said that no one wanted to address the elephant in the room — the fact that players don't want to play in Edmonton. "They don't want to be there," Monias said. "These players know it's the least favourite market in the NHL." Edmonton resident Byron Prochnau, an Oilers season ticket holder for 41 years, pointed the finger at Oilers owner Darryl Katz, whose friendship with former Oilers of Stanley Cup days gone by has led the team down the wrong road in 2019. "[Oiler CEO and vice-chair] Bob Nicholson's a good friend of Kevin Lowe through Hockey Canada," Prochnau said. "So you bring in the wrong people." 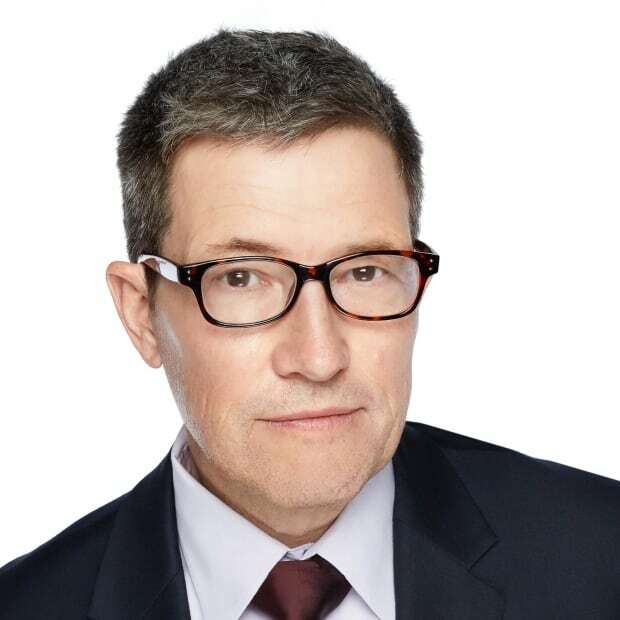 Lowe, now a team vice-chair — along with Wayne Gretzky — previously spent seven seasons as president of hockey operations and prior to that, eight seasons as the team's general manger. He also spent a season coaching the team, in addition to 15 seasons as a player, where he was part of five Stanley Cup winning Oiler teams. Lowe was the first NHL player ever drafted by the Oilers in 1979, setting the wheels in motion that launched a hockey dynasty in the 1980's — a blueprint that looks a little like the one the Flames are working off 40 years later. All that pedigree and bling doesn't get much slack from exasperated Oilers fans like Byron Prochnau, who was there for the glory days and doesn't like what the Oilers have become. "It just filters all the way down through the organization as regards to the hiring that they do," he said. "I'm still convinced that some of these guys are involved behind the scenes and influencing the owner and some of the decisions that are made."